Someone died because of someone else’s choices, and it doesn’t fit into other categories. Disability: Alzheimer’s disease, mobility impairment (Wheelchair user). Jocelyne’s husband had applied for her to have euthanasia. However, because she had dementia and was not competent to make that decision, they were denied. Undeterred, Jocelyne’s husband killed Jocelyne–who was claustrophobic–by smothering her with a pillow. 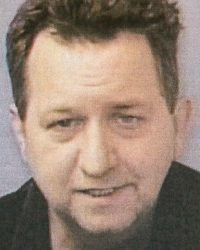 Perpetrator: Michael Cadotte (Husband), convicted of manslaughter. BioEdge: Should Quebec’s Alzheimer’s patients be eligible for euthanasia? Name: Tyler Joseph “TJ” Caudill. Died: Late August 2016; body found November 13, 2016. 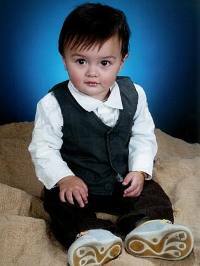 TJ was abused and starved by his mother and her boyfriend; then he went missing. His body has been found, and his mother and her boyfriend charged with murder when it was found that TJ’s death was a homicide. He had been abused, forced to stand and walk for hours at a time, locked in a bathroom, and starved to death. 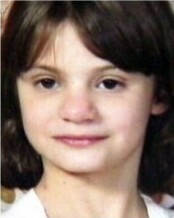 Perpetrator: Margarita L. White (Mother), pleaded guilty to murder and child endangerment, sentenced to 18 years to life; Douglas Lee Hunt (Mother’s boyfriend), convicted of aggravated murder, child endangerment, torture, abuse, tampering with evidence, and abuse of a corpse, sentenced to life without parole. Died: Died December 19, 2011; reported missing July 30, 2013; body found September 27, 2016. Location: Winston-Salem, North Carolina, USA. Disability: Learning disability, deaf from birth. Erica was physically and emotionally abused by her adoptive parents. They locked her in a closet, hit her, and deliberately broke her fingers. Sometime in 2011, she disappeared. Witnesses said she was “having trouble breathing” shortly beforehand. She was not reported missing for two years. 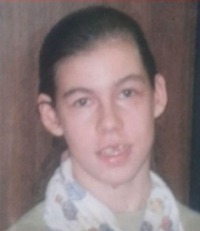 Until Erica’s body was found, her parents could only be convicted for fraud, since they had cashed Erica’s disability checks in the years between her disappearance and its reporting. Five years after her likely death, Erica’s adoptive father led police to her body. Her bones revealed that she had been malnourished, and had suffered many fractures from abuse. Authorities could not find an exact cause of death, but determined she had died from “homicidal violence”, probably from being strangled or from injury from beatings. Perpetrator: Sandy Parsons (Adoptive father), convicted of fraud, sentenced to 8 years; charged with murder, obstruction of justice, and concealment of death. Casey Parsons (Adoptive mother), convicted of fraud, sentenced to 10 years; charged with murder, obstruction of justice, and concealment of death. Cause of death: Homicide, unknown type; or natural death after abuse. Lydia’s death was originally ruled natural, but her mother and sister saw bruises on her body and pushed for an investigation. More than a year later later, Lydia’s foster mother was charged with manslaughter. Exactly how Lydia died has not been released. Perpetrator: Lisa Marie Campbell (Foster mother), charged with manslaughter, charges stayed. Cause of death: Medical neglect. Location: Santiago de Compostela, Spain. Disability: A degenerative neurological condition. Andrea’s parents advocated for her feeding tube to be removed. She died of starvation and dehydration after four days without nourishment. Perpetrator: Antonio Lago and Estela Ordóñez (Parents); no crime. Died: Body found September 6, 2015; died January 2015. Disability: Disabled veteran; depression, PTSD, diabetes. Steven’s cause of death is still under investigation, but his body was found buried in his basement; he had been dead for about nine months. His caregiver had been using his credit cards and stealing his retirement payments. Steven Reis was an Air Force veteran. Perpetrator: Christy Russell (Caregiver), charged with tampering with evidence and credit card fraud. Died: Unknown. Body found May 3, 2015, six months to a year after death. Age at death: ? 28. What happened to Brooke is unknown. All we know is that she was found dead, weighing only forty pounds, stuffed into a suitcase in her mother’s apartment, with amphetamine, marijuana, and oxycodone in her system. An autopsy did not find evidence of trauma, but most such evidence would no longer have been detectable because Brooke had been in the suitcase for several months. Perpetrator: Possibly Bonnie MacBeth (mother). She may be guilty of neglect or only of hiding Brooke’s body, but she is not being charged. Location: Hurstville, New South Wales, Australia. 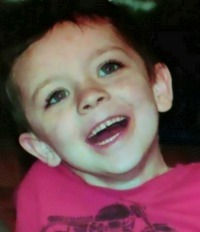 Aidan died after a “slapping therapy” workshop, a treatment that included several days of fasting and repeated, hard slaps meant to cause bruising and “release toxins”. He may also have been taken off insulin by his parents. Perpetrator: Tasly Healthpac Centre; Aidan’s parents Lily and Geoff Fenton. 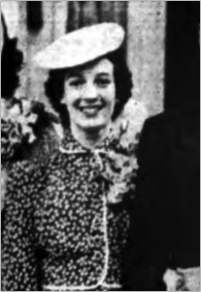 Name: Hope Beverly Ruller, née Carr. Died: Body found December 29, 2014; died October 2013. Cause of death: Unknown suspicious death. Location: Gloversville, New York, USA. Hope lived in a duplex, downstairs from her daughter, who was supposed to be caring for her. However, instead her daughter isolated her and kept her from seeing family members or getting medical care. When Hope died, her daughter did not report the death and continued cashing her mother’s disability checks for more than a year, assuring her family that she was “fine” and even cashing a check sent as a Christmas present. Eventually, Hope’s son grew suspicious and asked police for a welfare check; they found her body. 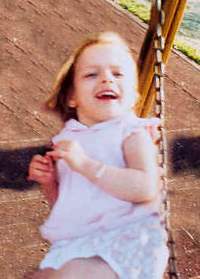 Hope’s cause of death can never be determined because her body was left in a bed for 14 months after she died. Police could only say that her death was considered suspicious. Perpetrator: Mary Kerstig (Daughter), pleaded guilty to larceny, improper disposal of a body, and endangering the welfare of an incompetent or disabled person; sentenced to 6 months in jail, 5 years probation, and community service. Location: Brooklyn Park, Minnesota, USA. Foster child Kendrea was showing signs of severe mental illness; she had been experiencing suicidal ideation every day for months. 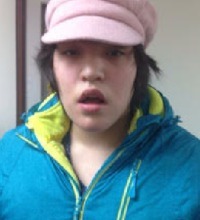 But her foster home did nothing to help her; instead, she was threatened with beatings and locked in her room. Four times, her foster home was reported for neglect, but not investigated. Kendrea was found hanging from her bunk bed with a jump rope tied around her neck; the death was ruled a “ligature hanging” and showed all the signs of suicide, including a suicide note reading “I’m sorry”. If that is the case, then Kendrea’s death was the result of neglect, with her mental illness left untreated to the point that the little girl committed suicide. However, Kendrea’s grandmother believes her death was a murder rather than a suicide, since the knot in the jump rope might have been too complex for a six-year-old to tie. Perpetrator: Tannise Nawaqavou (foster mother); child and family services. $1.5 million settlement paid to Kendrea’s grandmother by Hennepin County. 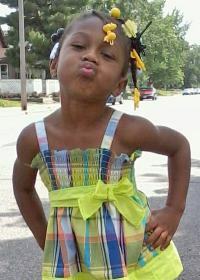 Girl, 6, died by hanging in foster care. County settles with family for $1.5 million.